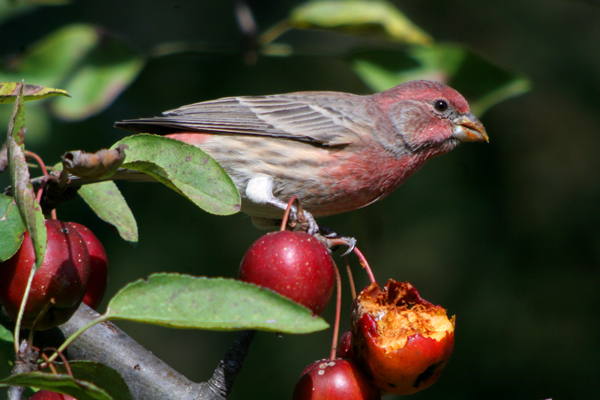 On the recent Queens County Bird Club field trip to Kissena Park in search of migrating sparrows, field birds, and whatever else might cross our path, I was distracted by some male House Finches Carpodacus mexicanus feeding on, or, to be more accurate, pigging out on, crabapples. They were so intent on eating the apples that they completely ignored me, allowing close approach, which, considering that I am digiscoping and the light was nice, means that I have some nice pictures to share. 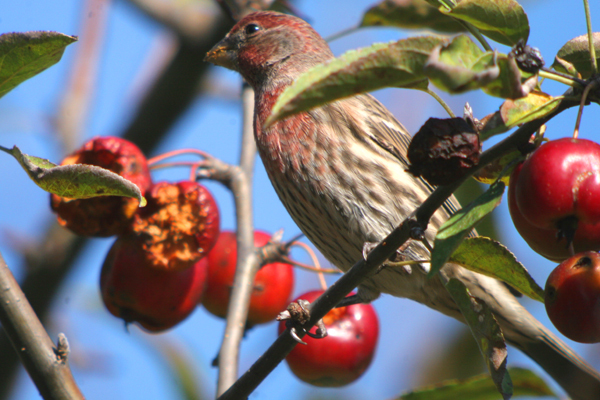 Though House Finch are not native to the east coast of North America, having been transplanted from the west coast as released pets, they are still a delight to behold, though, to be honest, I much prefer Purple Finch. But whatever your finch preference I am sure you will enjoy these pictures! This post was submitted to Bird Photography Weekly #60. Go check it out! Wow, nice pics Corey! I see why you were so focused on getting those shots… to the point that not even the discovery of a small Brown Snake was enough to deter you from taking those photographs! 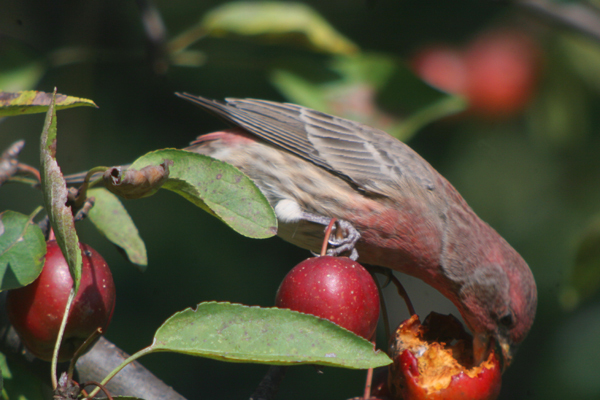 Great shots of the House Finch. Corey, once again you have made a common (at least here in southern Cal) species very interesting. Lovely photos! Awesome captures Corey! He looks rather guilty with the crabapple all over his beak. I am waiting for the persimmons to ripen over at Lema Ranch (should be very soon). I think I will see a plethora of finches and warblers when they do. 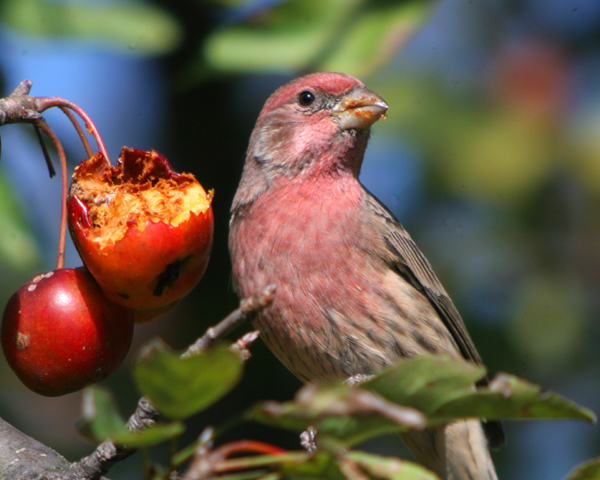 Two purple finches eat thistle seeds from my feeder regularly. They are beautiful. More colorful of course.